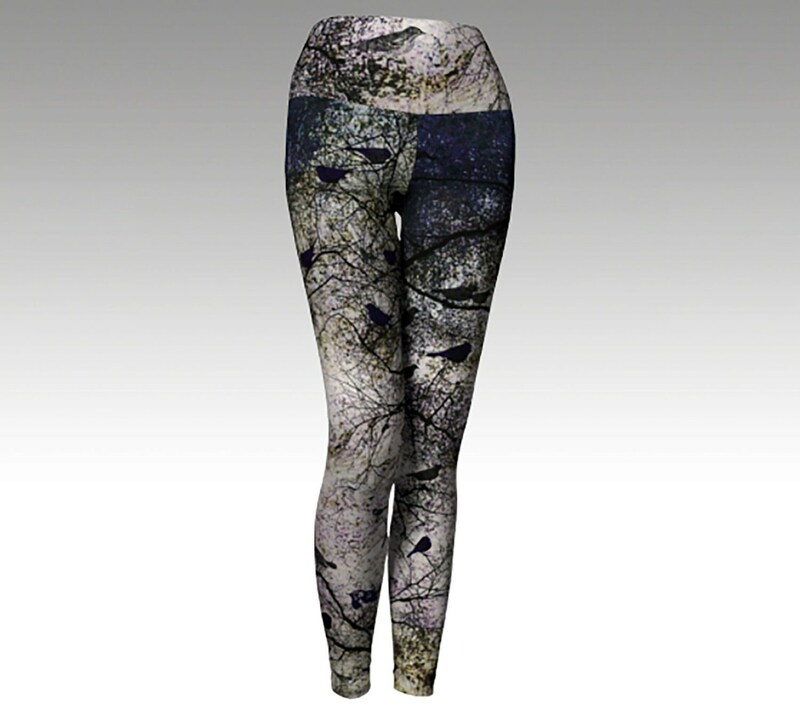 Black Birds, Trees, Woodlands Printed Leggings, Gray and Black Leggings. 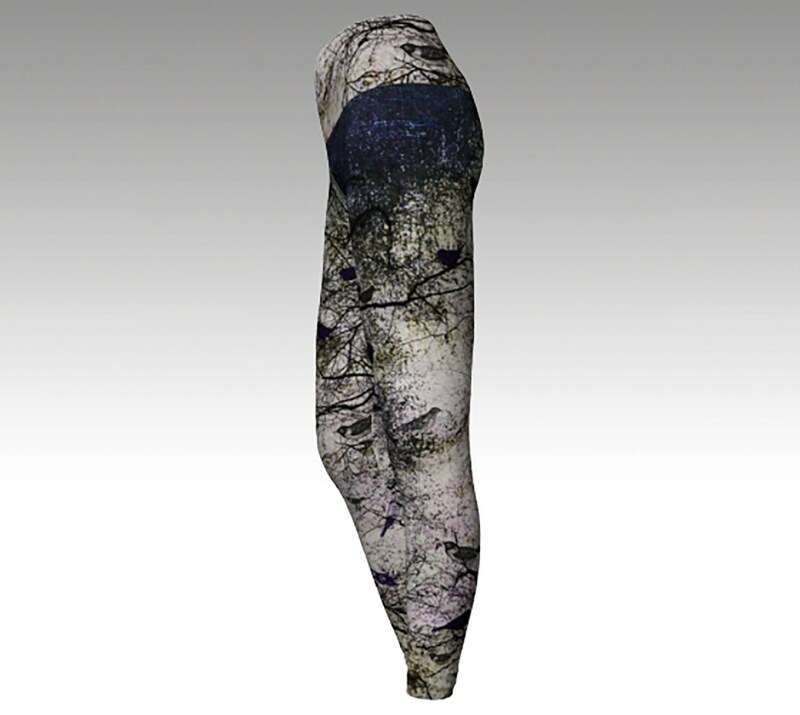 These Women's Leggings are created using sublimation techniques, so the print covers every inch. Great Yoga Pants! Wear these Leggings on those cool fall nights. You will definitely stand out in these leggings! Great gift for her! YogArt Fashion Leggings for Women fit perfectly, providing the right amount of compression yet not too tight. I designed these womens Leggings that you can wear pretty much anywhere. Wearable Art Leggings, Print of original design. Dreamy, soft design. Very fashionable. Namaste. From Yoga to Dinner! Super comfortable, soft, smooth fabric. 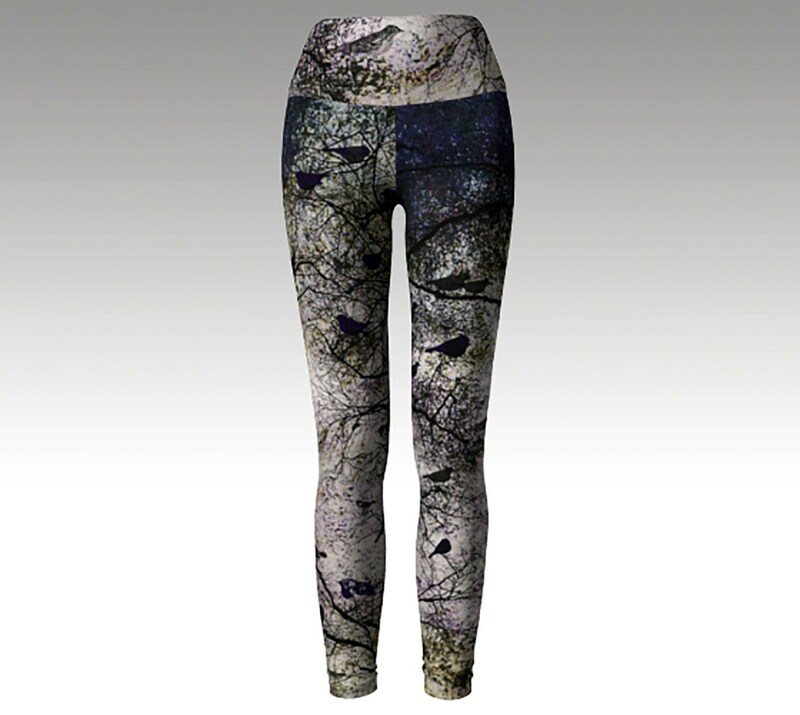 YogArt leggings are printed using solvent free sublimation inks. This printing method gives a vibrant, beautiful range of colours. And the most importantant part? Your printed leggings won't fade after wearing or washing! Your printed leggings are also easy to care for. 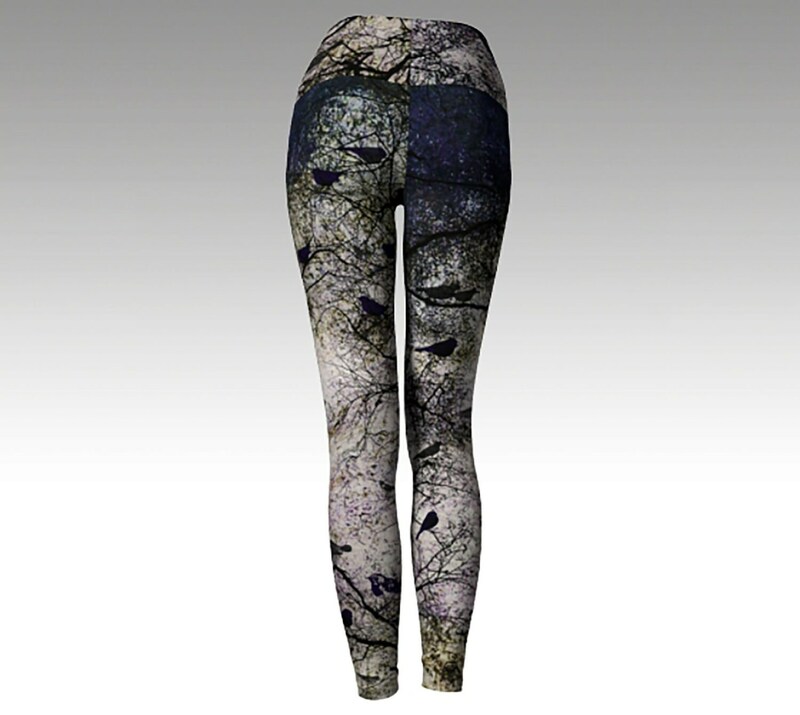 Custom printed leggings are like getting a tattoo; Once you have one, you'll want many more! YogArt Leggings are made from medium weight fabric. They stretch to fit your body and hug in all the right places. This material bounces back after washing so you can wear your leggings over and over and they won't lose their shape. Easy to care for and keep looking new! Machine or hand wash your leggings and capris in cold water. Tumble dry on regular or hang to dry. Please do not bleach. Fabric is naturally quickdry so you won't have to wait long before wearing again. - Made from ultra-stretch PolySpandex blend fabric that won’t lose shape even after multiple wearings. - Vivid print that won’t fade after washing. - Easy care: machine wash cold. Tumble dry on regular or hang to dry. - Cover-stitched waist band and hems. - Printed and sewn by hand in Canada. YogArt leggings are made to order so please allow 3-5 business days for production. Most leggings ship out within 1-2 weeks. I like these. But they aren't just grey and black. They are also blue and pinkish. I would've preferred just grey and black.